After a long wait, the Washington Capitals finally captured their first Stanley Cup in the 2017-2018 season. The Capitals were matched up against the Las Vegas Knights in their league debut as an expansion team. Bringing home the cup to DC has been rewarding for the city and enjoyed by players and fans alike. It’s easy, in the business world, to view sports as solely entertainment, but there are parallels between winning in sports and winning in business. Business is a competition too, and this article will delve into some of the winning principles that can be taken from the ice and implemented in the office. One of the key attributes of the Capital’s success was aggression. This is best exemplified by team captain and playoffs MVP, Alexander Ovechkin, who led the league in playoff goals. Guess what other stat Ovechkin also led in the playoffs. Shots taken. As a company, you need to take shots if you want to stay ahead of the competition. Power play opportunities need to be seized. Ovechkin and fellow teammate TJ Oshie were leaders in power play goals. Washington’s power play success was pivotal in their playoff run. Within the business world, there are many examples of power play situations – an acquisition, expansion strategy, new product innovation. Taking these steps when times are good, gives you the advantage to turn the final score to your advantage. 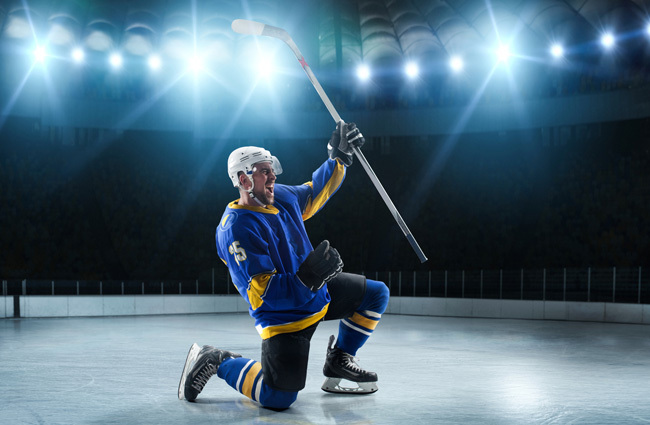 Taking advantage of these power play opportunities can be the difference between elevating your business to the next level or remaining a small-to-mid sized company. Another edge that the Capitals’ held over the Knights was the experience factor. Even when the Capitals lost Game 1, they played composed because they had been there before and were able to string together 4 straight wins. In business, experience is a key and the best indicator of long term performance. Even though a company may have a tough quarter or two, if it has experienced management, it will be able to course correct and get back on track. With big opportunities such as M&A and securing acquisition funding, the experience factor is just as critical. When you have the right team with the right experience, you can get big things done, and come out victorious in the end. There will always be setbacks, but with the right team on the job, they are mere fleeting delays on the road to cup glory. The final key to the Capitals’ Stanley Cup victory was their abundance of talent. Time and time again throughout the series we would hear that the Caps were just the better team. Why, though, are the Caps able to just “have the better team”? It may have something to do with their investment in payroll, as they have the highest average salary per player in the league. In business as in hockey, capital investment is often destiny. When you are well capitalized and invest in the best management team, you are well positioned for big wins. It pays to build a large capital base so that you have maximum flexibility and options to drive growth.